An Iranian dress designer makes a traditional dress to be a representative of Iranian culture in the Asian Cup 2015. Dresses represent the cultural and national identity of nations. The dress named Golestan after a namesake framed rug is designed to represent the Iranian culture on the international stage too. 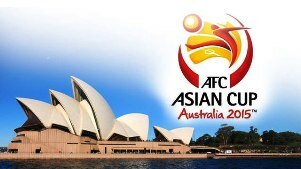 The Golestan dress has been designed by Mahnaz Armin to be presented at the Asian Cup 2015 in Australia. The pattern of the bodice has been inspired by the Golestan framed rug. Mahnaz Armin is an international dress designer focusing on Islamic designs. Earlier, at the 2014 World Cup in Brazil in cooperation with Hossein Kazemi, an artist who wove a Persian rug for the 2014 event, and Adel Gheybi, the sponsor of the carpet for Brazil World Cup, she designed a dress she called Vida. 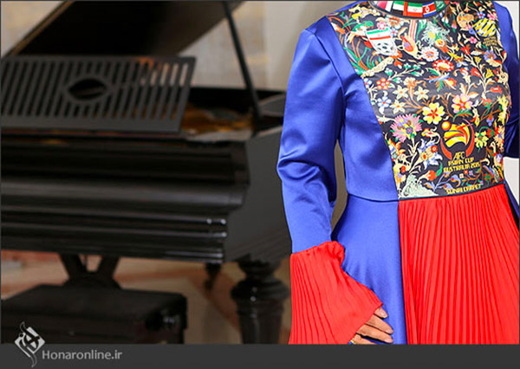 The dress was later handed over to the Brazilian deputy ambassador to Tehran as a symbol of Iran’s cultural identity. The Golestan dress has been made in two forms with the same color and design and is expected to be presented to Football Federation of Australia (FFA) by the Football Federation of the Islamic Republic of Iran. “Azure blue is the dominant color of the dress. The red which appears in the pleated parts of the dress is the color that the flags of Iran and Australia have in common. Simplicity was of great importance to me. “The folds in the loose-fitting red part of the skirt are a symbol of solidarity and harmony between nations. The descent of folds has been inspired by solidarity marches. The collar of the dress features the flags of all Asian nations. The bodice of the two-piece dress is like a picture whose margins are azure blue,” said the designer.